Learning how to make square paper is a must especially when teaching kids origami. This is a super quick and simple technique that is very easy to remember too! 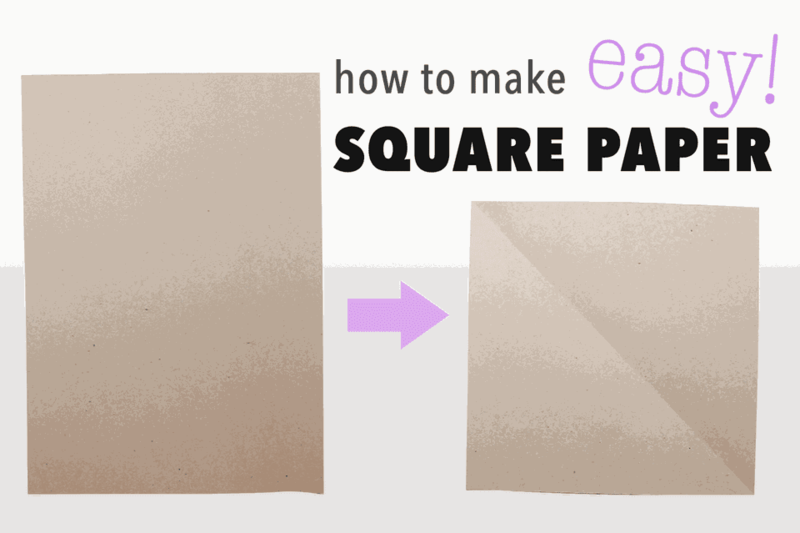 Learning this trick means you don't need to buy expensive origami papers, you can use whatever size paper you have available, usually this paper is rectangular or printer paper. You can also do this with wrapping paper, either from a roll or if you have it folded up flat. Get creative and make some origami paper out of old magazines, comic books or music scores! All you will need is your piece of paper and something to cut it with, a basic pair of scissors works just fine, there have been many times where I have just folded it and torn the excess off, which would be fine for models where you never see that raw edge of the paper, such as the Origami Masu Box. If you would like an absolutely straight line and are old enough, consider buying a paper trimmer like this one here. So the first step is to get your piece of paper and make sure it is positioned upright like this! Now fold the top right corner down from the left corner and align it with the left edge. Take your time and get it as neat as possible. Don't make your fold too harsh, especially if the model you want to make doesn't need this diagonal crease. a is what you should have now, make sure it is as straight as possible, with no overlapping edges. The bottom section under the triangle is what we are going to cut off. Now you need to get your scissors and cut off the excess paper. If you don't have scissors, fold along where you would usually cut, fold it a few times in the opposite direction and then tear it off carefully! 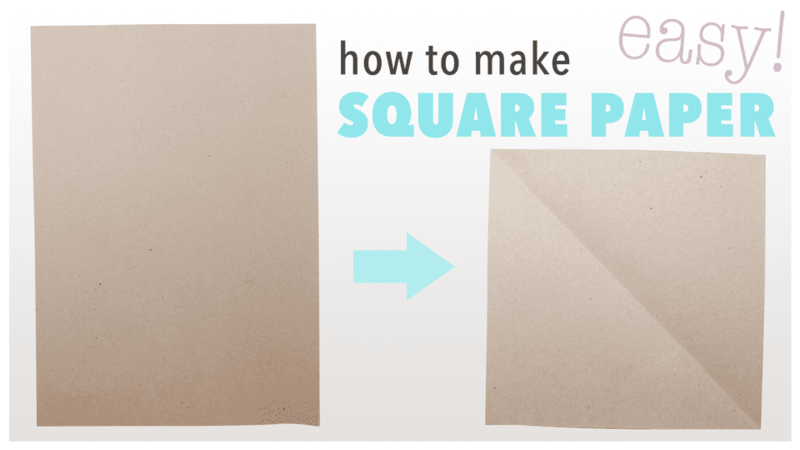 How To Make Square Paper - Finished! After cutting off the excess paper, this is what you should be left with! If you would like some pretty printable origami paper for free, check out Paper Crystal, there are plenty of patterns to choose from, and you can also find patterns that won't put too much of a dent in your printer ink supply.